Lawmakers on Wednesday said NASA must continue to improve astronaut crew safety on itsnew shuttle-replacing rocket, as well as on promising commercial vehiclesthat could ferry crews to orbit. In a Housesubcommittee hearing, NASA officials told congressional representatives thatits new Aresrockets should be 10 times safer than the space shuttles they are intendedto replace. Committee members also stressed that NASA must set guidelines forcommercial boosters before astronauts can ride them into space. ?Much hasbeen said about the potential for future plans in recent months, but there has beenprecious little discussion about safety,? said Congresswoman Gabrielle Giffords(D-Arizona), who chairs the space and aeronautics subcommittee for the HouseCommittee on Science and Technology. Giffords,who is married to astronaut Mark Kelly, said Wednesday?s hearing with NASA andspaceflight experts would play a role in future discussions on NASA?s plan toreplace the aging shuttle fleet with newer, safer rockets. 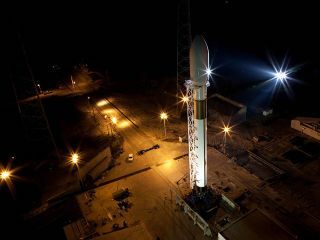 That plan isunder scrutiny by the Obama administration, which received a review of NASA?sexploration goals from a White House-appointed committee in October. Meanwhile,NASA has set aside $50 million to support the development of commercialcrew transportation to the space station that could ease the gap betweenthe shuttle fleet?s retirement and the first Orion flights. In the recentreport, the White House-appointed committee recommended more investment, about$5 billion, in commercial crew-carrying spacecraft. NASAcurrently plans to fly five more shuttle missions in 2010 before retiring itsthree remaining orbiters to make way for their successor - the Orion spacecraftand the Ares rockets to launch them. The agency launched its first suborbitaltest flight in late October using a demo version of the new Ares I rocket. ?Simplyput, safety is a top priority in NASA?s Constellationprogram,? said Jeff Hanley, who leads Constellation, which is in charge ofthe Orion vehicles and their Ares rockets. NASA?sspace shuttle program aims for a safety threshold that allows a 1-in-100 chanceof a launch disaster. Astronauts and NASA officials want to boost that safetymargin to a 1-in-1,000 chance for any future vehicles, said veteran astronautTom Stafford, a retired Air Force lieutenant general who flew missions onNASA?s Gemini and Apollo spacecraft. UnlikeNASA?s space shuttles, the Ares I rocket will have a launch abort systemdesigned to pull an Orion crew capsule to safety in the event of an emergencyat liftoff. NASA hassaid the Orion and Aresvehicles will be ready for manned flights by 2015, but the independentWhite House committee?s report stated that, given the agency?s currentavailable budget, the new spacecraft won?t be ready for crewed operations until2017. Commercial crew vehicles, the committee stated, could be ready by 2016. Two U.S.companies, Space Exploration Technologies (SpaceX) and Orbital Sciences Corp.,are already building unmanned cargo ships under separate contracts with NASAworth about $3.5 billion in all to deliver supplies to the International SpaceStation after the shuttle fleet retires. They and other firms have alsoannounced intentions to build craft capable of carrying humans to orbit. BryanO?Connor, a veteran shuttle commander and NASA?s safety chief, said the agencyhas provided its safety requirements to those firms, but formal discussionsover human-rating a commercial spacecraft have not yet begun. The agency plansto use some federal stimulus funds to develop concise technical requirementsfor non-NASA spacecraft builders, as well as set up some form of oversight, headded. ?The longerwe wait to start that process of commercial crew activities, the longer it willtake us in terms of shortening any gap,? Brett Alexander, head of the CommercialSpaceflight Federation, told the House subcommittee. At the sametime of Wednesday?s House science subcommittee hearing, the House committee fortransportation and infrastructure met to take testimony from commercialspaceflight experts on the maturity of privately developed spacecraft. ?Whilethere is excitement surrounding the possibilities for commercial spacetransportation, the technology and the industry are very new and somewhatuntested,? the transportation committee said in its summary. Since 1989,there have been 19 launch failures, aborts or scrubs of commercial boosters,according to the Federal Aviation Administration (FAA). But in the last eightyears, there have been only six failures in 66 launches, a marked improvement,the transportation committee said. In the safety hearing, Alexandersaid that while the FAA will likely watch over actual flights of commercially-builtmanned spacecraft, NASA as the customer would have to tailor itsrequirements for crew vehicles to fit those private vehicles. ?There isno cookie-cutter approach to safety in space, nor is it a given,? said JohnMarshall, a member of NASA?s independent Aerospace Safety Advisory Panel(ASAP), during the hearing. ?The ASAP strongly believes that specific criteriashould be developed to establish how safe is safe enough.? O?Connorsaid it took NASA about eight months to tailor its human-rated safetyrequirements to the in-house Orion spacecraft and its Ares I rocket. It tookthree years before NASA engineers were comfortable enough with Russia?s Soyuzvehicle to allow astronauts to fly on them. Today, Soyuz spacecraft are thestandard ferry ships for space station crews. It wouldtake up to six years, O?Connor said, to adapt Orion?s safety specs to fly on adifferent rocket such as the Atlas 5 or Delta 4 Heavy boosters currently usedto launch unmanned satellites to orbit. ButAlexander stressed that the six-year estimate is for Orion only. A smaller,commercially-built crewed spacecraft could take as little as three years tomeld with NASA?s guidelines, he said. To date,NASA has seen two fatal disasters over the course of its 129 shuttle flightssince 1981. The first occurred during the January 1986 launch of the shuttleChallenger, killing seven astronauts. In February 2003, the shuttle Columbiaand its seven-member crew were lost during re-entry due to wing heat shielddamage sustained during their launch two weeks earlier. Since theColumbia disaster, NASA has worked to maintain a constant vigilance forastronaut safety on its remaining shuttle flights. ?We treatevery crewed spaceflight like an engineering test flight,? O?Connor said.